Cambodia’s gambling industry began in 1993 when it gained its independence. During the Khmer Republic from 1970 to 1975, Democratic Kampuchea from 1975 to 1979, and People’s Republic of Kampuchea, from 1979 to 1989, casinos were strictly prohibited in the country. Today, the healthy number of legal casinos in the country serve as a major draw for tourism to continually grow over the years. Many of the country’s tourist spots have incorporated resorts and casinos into the community to bring more tax revenues to the government and somewhat help in improving Cambodia’s economy. Sihanoukville, for instance, is a coastal city that boats of beautiful beaches. But the beaches are not the only reason why tourists flock to the area. In Cambodia, Sihanoukville has the most number of land-based casinos. To date, the city has 16 casinos exclusive to foreigners. Phnom Penh, the country’s capital city has the NagaWorld boasting of 75,000 square feet of casino floor. Citizens from the neighbouring countries of Thailand, Vietnam, and Laos where gambling is illegal take advantage from the two border towns of Poipet (Thailand border) and Bavet (Vietnamese border) since these areas have several established casinos. This law applies to local residents only. Government-sanctioned casinos are open to foreigners. The above-mentioned law, however, is rarely adopted. Instances have been reported where Cambodians are said to be free to enter several casinos, particularly NagaWorld, without the risk of prosecution. Although, the situation is different in the Cambodia/Thai border of Poipet. Many claim that officials allow wealthy locals to enter and gamble in casinos but low-income locals are often carefully watched. Is Online Gambling Allowed in Cambodia? Since gambling is illegal for Cambodia locals, some of them run the risk of not getting paid since they cannot freely report the fraud to the authorities. To stay away from advantageous operators, many locals gamble in online casinos instead. Many foreigners also go to this route because it is much more convenient for them, especially now that playing online casino provides the same experience of playing in land-based casinos because of the new offering of live dealer casinos. Are There Live Dealer Casinos for Cambodian Players? Yes, there are. A number of gambling operators are mushrooming in the kingdom due to minimal oversight and lax regulations. For several years, the online landscape of Cambodian gambling is already dominated by online casinos. Chinese investors are reported to be placing money in Sihanoukville properties, which will be converted into online live dealer casinos. Cambodia is a favourite destination for gamblers because of its strategic location. Gamblers from neighbouring Asian countries who want to circumvent the law head to Cambodia. Chinese investors and gamblers put their money in Cambodia because of the tightening anti-corruption drive in their home country. Macau, the biggest gambling destination in Southeast Asia, is also working to increase its surveillance of corruption money diverted into their casinos. Since Cambodia has lax gambling regulations and easily-bribed authorities, many Chinese gamblers find their way to the kingdom. Cambodia now has 75 casino licenses given out. Some of the operators are taking a closer look at offering online live dealer casinos because it is easy to set up and has fewer overhead costs. Online live casinos are not regulated yet in Cambodia; casino operators can offer it as long as it is operated out of a licensed land-based casino. Live dealer casino is one of the fastest-growing offerings of online casinos. It offers players who cannot physically enter a casino the chance to play in a real casino setting through live streaming of the games from a studio. The games are set in play by live croupiers and follow rules and operations as in a normal casino. Some online live dealers have the option of chatting with other players or the dealer through a chat function. 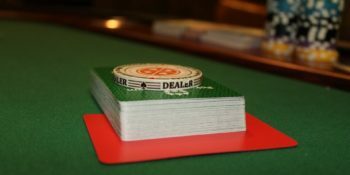 Why are Online Live Dealers the Next Best Thing for Online Casinos? These live betting options bring the casinos to players from across the world and in so doing, they rake in revenues more than what a gaming floor can provide. In Cambodia, unless the government will step up, Chinese investors are the ones raking in more money. They invest in updated back office equipment and reliable labour. More recently, throngs of Chinese workers are already setting up online live dealer casinos in Sihanoukville. Aside from Chinese wealthy investors, Chinese labourers are also hugely benefitting from this development. Since the Cambodian government does not allow their locals to gamble, they cannot seek employment from these casinos. What Cambodian Casinos Offer Online Live Dealers? Both the White Sand Palace and Golden Sand hotels are planning to offer live dealer casinos within its premises. Chinese investors are carefully looking at converting about 300 hotel rooms in White Sand Palace to “mini online gaming rooms” that will have high-speed broadband internet connectivity. To date, Start Live Casino, a Cambodian casino operator has already started broadcasting an assortment of live dealer games from the Lucky Ruby and Lucky89 casinos located in Svay Rieng province. The casino operator is likely to start expanding operations of its live dealer casino in Sihanoukville. Another casino establishment offering online live dealer casino is the Grand Dragon Resorts. Launched in early 2015, the casino is owned and managed by the Dai Long Company. The said casino does not have a separate studio specific for live streaming as the games are directly broadcasted from the casino gaming floor. Grand Dragon Resorts’ live dealer casino has the best dealers specializing in Asian traditions. The casino also offers region-specific special games in addition to the traditional live dealer casino games such as Poker, Roulette, Blackjack, and Baccarat. What are the Best Live Dealer Casinos for Cambodian Players? This live dealer casino is set up by Ezugi, an established company with a reliable live dealer software that is dedicated to providing its players an incomparable gambling experience. Its first live studio is based in Costa Rica but it has since expanded its studios to include one each in Bulgaria and Cambodia. From its Cambodian studio, live dealer games include Live Roulette and Live Blackjack. This casino also offers a wide variety of Baccarat games including Live Baccarat, KnockOut Baccarat, SuperSix Baccarat, Insurance Baccarat, and Xoc Dia. Founded in 1999 in Poipet, Cambodia, this online casino is one of the most reliable and well-known casinos that operate from a land-based casino in Cambodia. The 855crown online gaming website has a gaming license issued by the Cambodian government. Aside from offering traditional casino games and sports betting services, 855crown also has live dealer games such as Live Baccarat, Live Super6 Baccarat, Live DragonTiger, Live Roulette, Live Sic Bo, Live FanTan, Live Insurance Baccarat, and Live SeDie. This online gaming casino runs on Betsoft software carefully integrated into the system. Operating for several decades, this casino offers one of the most reputable virtual and live casino games to its customers. Aside from sports betting and slots, BetOnline also has action-packed live dealer games including Live Blackjack Early Payout, Live Baccarat, and Live Irish Roulette. This online casino is operated by the PT Entertainment Services Limited with an active license from the Gambling Commission of Great Britain. In addition to online poker, sports betting, and bingo, Titanbet casino also has 10 different online live dealer games spread in various tables. Games included in the line-up are Roulette, Baccarat, Blackjack, Texas Hold’em, and Sic Bo. This online casino has a license from Curacao and certifications from Affiliate Guard Dog, making it one of the most reliable and trustworthy online live dealer casinos in the market today. Its gaming platform includes Visionary iGaming and RealTime Gaming, which is playable in mobile devices. Live dealer casino games offered by the casino includes Live Irish Roulette, Live Baccarat, and Live Blackjack Early Payout. What is the Future of Online Live Dealer Casinos in Cambodia? Online live dealer casinos in Cambodia will continue to flourish in the next coming years. Unless the government rethinks its stand on gambling, its citizens will not directly benefit from the growing market in terms of employment and business opportunity. The main investors who will surely take advantage of this boom are the wealthy Chinese investors. Will the government earn more in terms of tax revenues? They will if their officials will only strictly regulate the market and make sure implementing officers are not bribed by the aggressive Chinese investors.